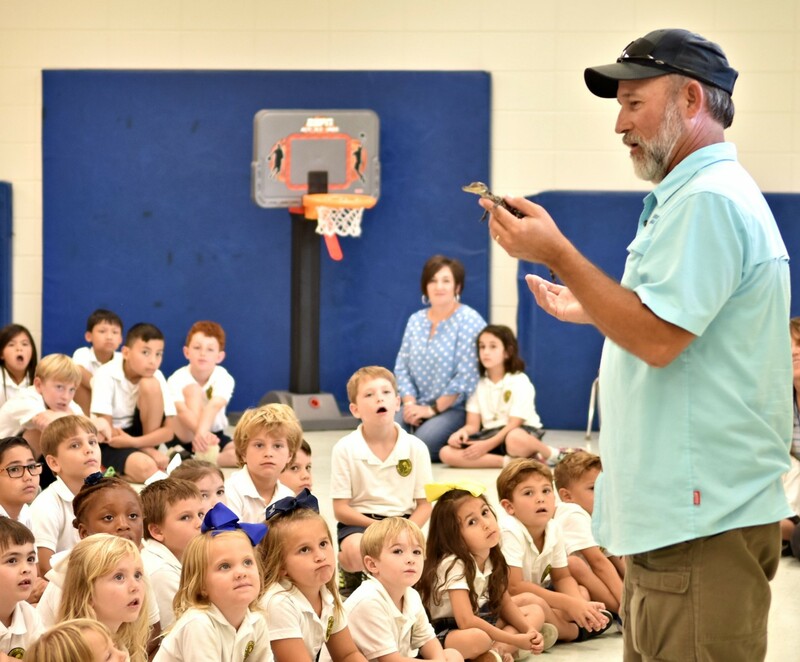 Students, faculty, parents, and friends came to OLF Elementary for a presentation by Ric Urban, Director of Animal Care & Conservation for the new MS Aquarium. Ric gave the audience a preview of the animal exhibits that will be included in the new MS Aquarium set to open in the fall of 2019. The animals that will live at the aquarium include alligators, dolphins, river otters, and stringrays. The highlight of the presentation was the unveiling of a baby alligator “Bob”. All the students were able to meet Bob and touch his skin. 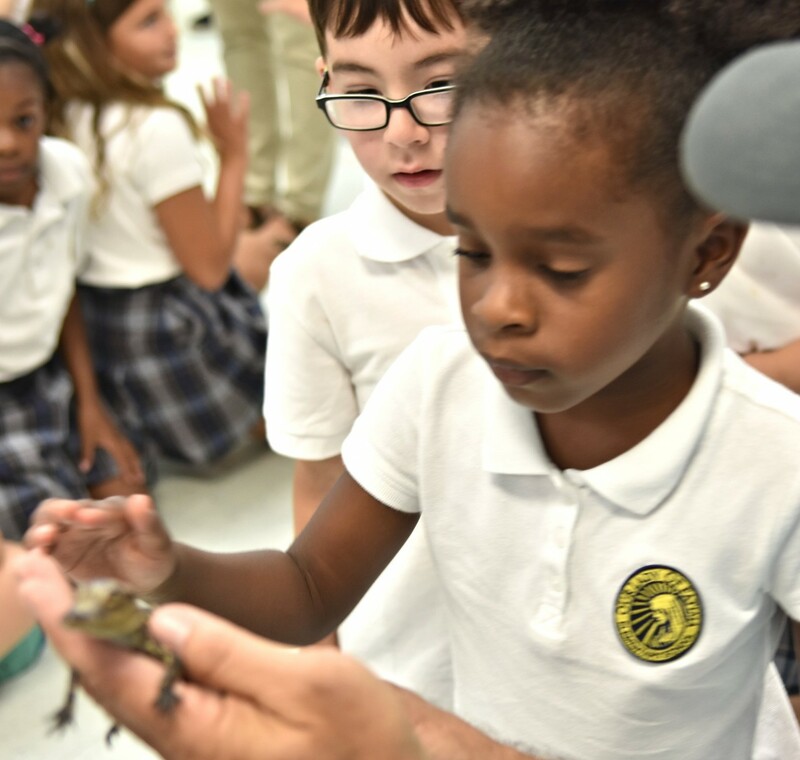 “We look forward to the opening of the new aquarium and the education opportunities it will bring for our students and the coast,” said OLF Principal Cindy Hahn. Ric Urban introduces “Bob” The Alligator to the students. Nola Harmon & Dawson Durand meet “Bob” The Alligator.